With recent hurricanes destroying towns, earthquakes tearing cities apart and rising sea levels threatening to inundate regions, people around the world are increasingly trying to protect and prepare their homes against possible hazards. Recently, FIU hosted the world premiere of a one-hour independent documentary called “Built to Last? Saving our Homes in the Age of Disasters.” The film sheds light on what ordinary people can do to make their homes hazard-resilient. It features interviews with FIU’s Extreme Events Institute Director Richard Olson, who is also a professor in the Steven J. Green School of International and Public Affairs‘ Department of Politics and International Relations. The film is inspired by the book “Resilience – The Ultimate Sustainability,” written by Aris Papadopoulos, a distinguished expert in resilience at the Extreme Events Institute. The film was produced by Rockhopper Media, a company based in the United Kingdom. It was funded by Papadopoulos’ non-profit organization, Resilience Action Fund, along with funds from other supporters, including the World Bank Global Facility for Disaster Reduction and Recovery. The documentary will air on PBS stations nationwide. 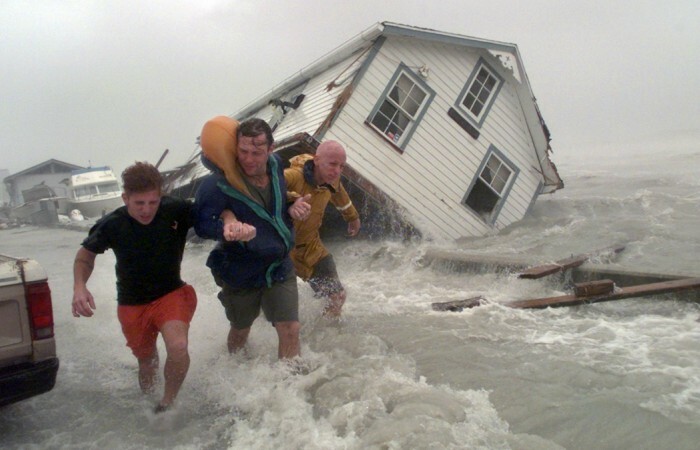 Papadopoulos, who served as a consultant for the film, said his goal in writing the book and in working toward the documentary was to help homeowners become what he considers “resilient-smart consumers” – people equipped with the knowledge necessary to strengthen their homes. The film features numerous interviews with homeowners around the globe who have experienced damage to their homes and are fortifying the homes for future events. One family created a metal shelter box in their basement to protect them from tornadoes. Another installed beams for each side of the garage door to reinforce the house from hurricane-force winds. And, yet others have decided to forego cosmetic remodeling for their homes in order to renovate with a number of safety features instead. After the film screening, Olson, Papadopoulos and Julie Rochman, former CEO of the Insurance Institute for Business and Home Safety (IBHS), discussed the film’s implications for homeowners. Papadopoulos, who previously worked in the construction and energy industry for 35 years and is the former CEO of Titan America, said that Americans spend about $300 billion on renovations every year – and about 99 percent of those are cosmetic. He explained that building codes often don’t require builders to reinforce homes for disasters. If consumers don’t know which materials to ask the builder for or what kinds of safety measures to demand, he said, then builders will just keep building things that are up to code – and not resilient. Asking a builder to use something as simple as ring shank nails, she said, can make the home stronger. The problem is, the average homeowner doesn’t know what ring shank nails are. Learning what the materials are is the first step – and it’s not as intimidating as it seems. One great resource is the IBHS website. The website provides step-by-step guides to strengthening homes and commercial spaces that meet IBHS bronze, silver and gold-level standards of fortification. Rochman said that if homeowners fortify their roofs to meet at least the bronze-level standards, that would eliminate or prevent basically all damage from tropical storms classified as categories one and two. Another major topic the panelists addressed: the costs of fortifying – and not fortifying homes. Sub-par building standards lead to continuous poverty cycles, Olson said. “The most vulnerable are vulnerable because of their structures and lack of insurance,” he said. When tragedies strike, he explained, the poorest lose their homes and get pulled further into poverty. Something has to change. We often think raising building standards would mean raising costs – but that’s not always true, said Papadopoulos.